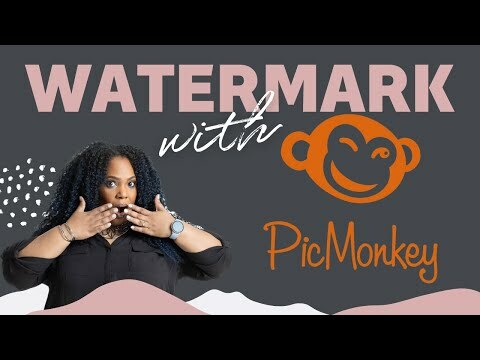 PicMonkey - How to Use PicMonkey to create Logos, Edit Images, & Social Media Graphics (Photoshop) For additional training videos, please visit www.pinkbossclub.com Need graphics for your business but don’t want to pay a graphic designer? Learn how to create professional graphics on your own! You don't need to pay an expensive graphic designer to create logos, social media graphics or even do touch ups to your photos. 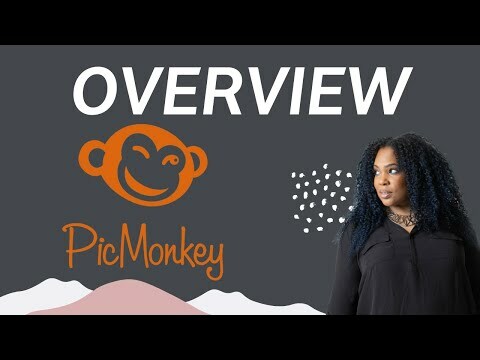 PicMonkey is an online graphic design tool that allows entrepreneurs to create professional, high quality graphics. You have enough startup costs! Why not save hundreds of dollars in graphic design fees by using PicMonkey? 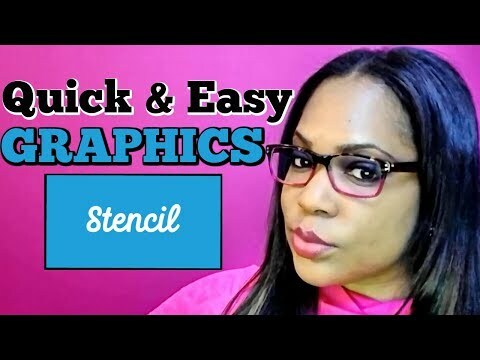 In this graphics class, I'll teach you simple steps to: ♥ Find and use ANY font in designs ♥ Create a professional logo ♥ Nip & Tuck your images ♥ (remove blemishes, whiten teeth, recolor, etc.) 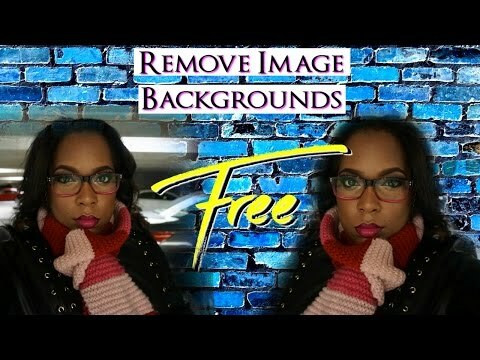 ♥ Remove and Replace backgrounds ♥ and so much more.... What are you waiting for? Sign up now! ------------------------------------------ Visit my website to learn more about my services http://sociallynina.com Go Live Get Leads with Periscope: http://sociallynina.com/golive Join my Pink Boss Club Facebook group: http://sociallynina.com/bmm If you’re a female entrepreneur who identifies as an introvert or someone who just needs a gentle push (sometimes), or you’re on an entrepreneurial journey of transformation and reinvention and you are ready to move beyond feeling overwhelmed and bogged down by the technical aspects of your online business, I’m your woman. 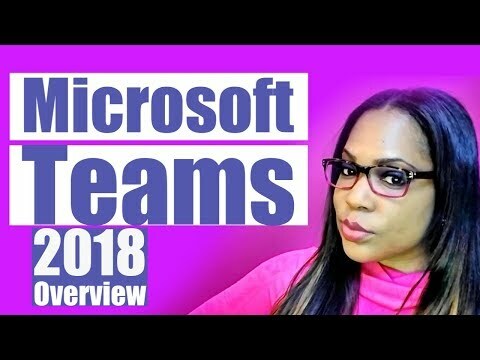 I’m Nina Simone, a Social Media Marketing Strategist and Business Success Coach with a BS in Computer Information Systems (I’m geeky glam with a dash of super nerd). 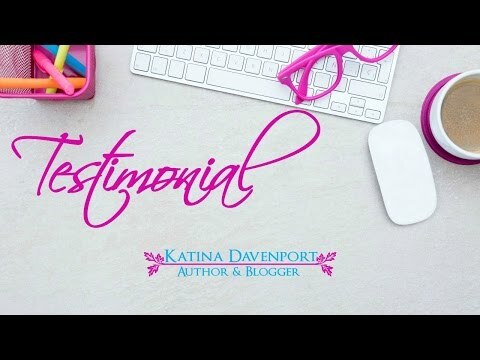 I help passionate female entrepreneurs seeking to fulfill their purpose in life with everything from biz systems and webinar prep to social media strategy, and oh yeah... Facebook Ads! Over 12 years ago I started my first online business and since then I’ve gotten a lot of attention - people ask me for all types of advice like… What it takes to build a following and how tap into the entrepreneur's mindset The essentials of business building, and All the technical details that go with starting and marketing a business. 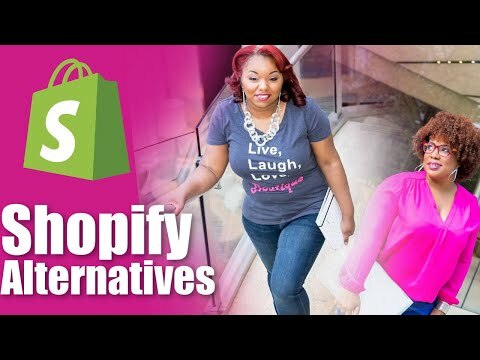 If you’re a new-ish online entrepreneur, "baby baby lemme upgrade you” (lol)! I’m passionate about helping you create an online presence that oozes confidence, portrays clarity, and invites your dream clients into your world (and your designer wallet). TubeBuddy 2019 for Beginners: How to Rank your YouTube Videos in 2019 There’s a strategy to ranking videos on YouTube and it’s actually pretty easy. TubeBuddy (http://sociallynina.com/tubebuddy) released a new 2019 version of their channel management and optimization tool and I’m here for it all honey! TubeBuddy literally has hundreds of tools that help you grow your channel, get more views and rank your videos on YouTube. 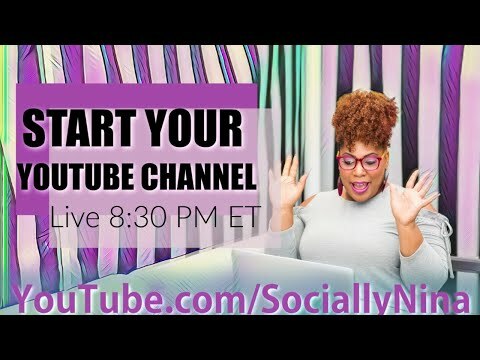 ------ sign up for TubeBuddy here http://sociallynina.com/tubebuddy ---- I’ll be releasing a few videos to help you get to know the tool better. By the way, did I mention that the tool is free? 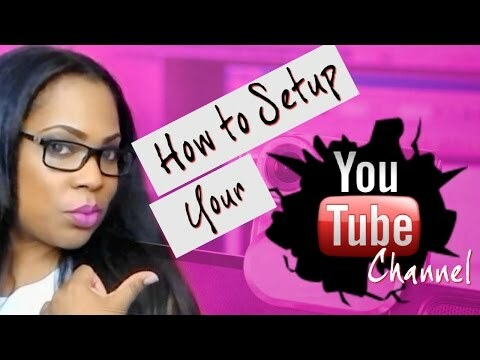 You get most of the features with limited access but it’s more than enough to help you rank your videos. If you want to upgrade and have under 1,000 subscribers it’s only $3.50 per month. 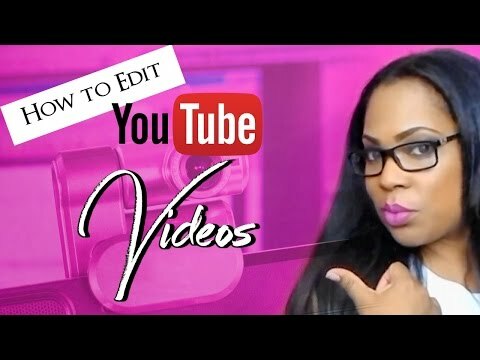 ----- Subscribe to my channel https://www.youtube.com/watch?v=M-JAHvK6SNQ&t=230s ----- Subscribe to my DIY channel http://youtube.com/ninasdiylife Want to know more about TubeBuddy? - Original TubeBuddy overview video (2018): - TubeBuddy 2019 for Beginners playlist: https://www.youtube.com/view_all_playlists?o=U Here are just a few of the things TubeBuddy can help you with: --- How to grow a channel with TubeBuddy --- How to find YouTube tags with mobile --- How to use YouTube tags to get views 2019 --- How to rank YouTube videos 2019 --- TubeBuddy 2019 What's New --- How to use TubeBuddy video topic planner --- SEE for YouTube channel 2019 --- YouTube tools for growing a YouTube channel --- TubeBuddy mobile app for android ~~~~~~~~~~~~~~~~ SUBSCRIBE to my Channel https://goo.gl/BcaU6s ~~~~~~~~~~~~~~~~ QUESTION OF THE DAY ---------------------------- SOCIAL MEDIA INFO ---------------------------- Instagram: http://instagram.com/sociallynina Facebook: http://facebook.com/sociallynina.com Twitter: http://twitter.com/iamsociallynina Pinterest: http://pinterest.com/sociallynina Youtube: http://youtube.com/sociallynina #sociallynina #pinkbossclub #learneditonline HOW TO WORK WITH ME ---------------------------- “Socially Nina” Thomas is an entrepreneurial marketing influencer and the CEO and founder of LearnedIt.online, an online training hub for small businesses, and the “not-so-tech-savvy” entrepreneur. http://sociallynina.com ------------ Pink Boss Club | The Small Business Hub | Free Community for Entrepreneurs http://sociallynina.com/pbc ------------ Pink Boss Academy| Digital Marketing Strategies for Entrepreneurs http://pinkboss.academy ------------ Business Mentorship for Startups and Entrepreneurs Businesses |Schedule a 20 minute discovery call to see if we’re a good fit http://sociallynina.com/bookme ------------ Consulting and Partnerships for Small – Mid-size Businesses http://sociallynina.com/consulting ------------ DISCLAIMER: This video and description may contain affiliate links. If you click on one of the product links, I may receive a small commission. These programs help support this channel and allow me to continue to make videos like this for you. Thank you for the support! 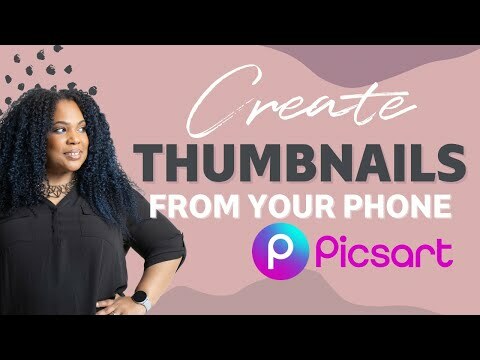 Youtube Thumbnails 2019 from your Android Phone | Easy YouTube thumbnail tutorial ~~~~~~~~~~~~~~~~ SUBSCRIBE to my Channel https://goo.gl/BcaU6s ~~~~~~~~~~~~~~~~ PicsArt: https://picsart.com/ Personal IG: http://instagram.com/ninasdiylife Biz IG: http://instagram.com/sociallynina SOCIAL MEDIA INFO ---------------------------- Facebook: http://facebook.com/sociallynina.com Twitter: http://twitter.com/iamsociallynina Pinterest: http://pinterest.com/sociallynina Youtube: http://youtube.com/sociallynina #sociallynina #pinkbossclub #learneditonline HOW TO WORK WITH ME ---------------------------- “Socially Nina” Thomas is an entrepreneurial marketing influencer and the CEO and founder of LearnedIt.online, an online training hub for small businesses, and the “not-so-tech-savvy” entrepreneur. http://sociallynina.com ------------ Pink Boss Club | The Small Business Hub | Free Community for Entrepreneurs http://sociallynina.com/pbc ------------ Pink Boss Academy| Digital Marketing Strategies for Entrepreneurs http://pinkboss.academy ------------ Business Mentorship for Startups and Entrepreneurs Businesses |Schedule a 20 minute discovery call to see if we’re a good fit http://sociallynina.com/bookme ------------ Consulting and Partnerships for Small – Mid-size Businesses http://sociallynina.com/consulting ------------ DISCLAIMER: This video and description may contain affiliate links. If you click on one of the product links, I may receive a small commission. These programs help support this channel and allow me to continue to make videos like this for you. Thank you for the support! 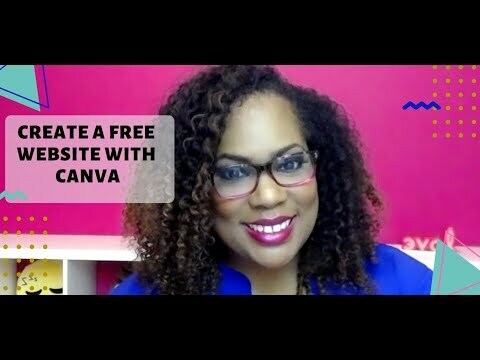 Canva 2019 - Create a Free Website for Graphic Design with Canva 2.0 The Ultimate Canva Guide: http://sociallynina.com/canva-guide/ Reserve your URL: http://sociallynina.com/namecheap Bit.ly Video: https://www.youtube.com/watch?v=f6SVKJ5wiuk&t=3s THE MONTHLY CHECKLIST: http://themonthlychecklist.com SUBSCRIBE to my Channel https://goo.gl/BcaU6s ~~~~~~~~~~~~~~~~ #canvaapp #canvatutorial #canva #GraphicDesign SOCIAL MEDIA INFO ---------------------------- Instagram: http://instagram.com/sociallynina Facebook: http://facebook.com/sociallynina.com Twitter: http://twitter.com/iamsociallynina Pinterest: http://pinterest.com/sociallynina Youtube: http://youtube.com/sociallynina #sociallynina #pinkbossclub #learneditonline HOW TO WORK WITH ME ---------------------------- “Socially Nina” Thomas is an entrepreneurial marketing influencer and the CEO and founder of LearnedIt.online, an online training hub for small businesses, and the “not-so-tech-savvy” entrepreneur. http://sociallynina.com ------------ Pink Boss Club | The Small Business Hub | Free Community for Entrepreneurs http://sociallynina.com/pbc ------------ Pink Boss Academy| Digital Marketing Strategies for Entrepreneurs http://pinkboss.academy ------------ Business Mentorship for Startups and Entrepreneurs Businesses |Schedule a 20 minute discovery call to see if we’re a good fit http://sociallynina.com/bookme ------------ Consulting and Partnerships for Small – Mid-size Businesses http://sociallynina.com/consulting ------------ VIDEO SERIES ---------------------------- My posting schedule: Monday – Wednesday – Friday. Click the links below to see if you missed any of my previous Digital Marketing tutorials. ------------ Series 3 | YouTube Tips and Tricks for Digital Marketers | 1 of 3 https://www.youtube.com/playlist?list=PL-PcMZK7ukr-ztJvmQoZ0TqwT1iKt46AI ------------ Series 2 | Series 2 | Instagram Tips and Tricks for Digital Marketers https://www.youtube.com/playlist?list=PL-PcMZK7ukr-aTOTHB58swt_gpJRrpz8C ------------ ------------ Series 1 | WebinarJam, ActiveCampaign, YouTube Thumbnails https://www.youtube.com/playlist?list=PL-PcMZK7ukr9IiOsaA_Pmdgftlb4bKbzn ------------ DISCLAIMER: This video and description may contain affiliate links. If you click on one of the product links, I may receive a small commission. These programs help support this channel and allow me to continue to make videos like this for you. Thank you for the support! 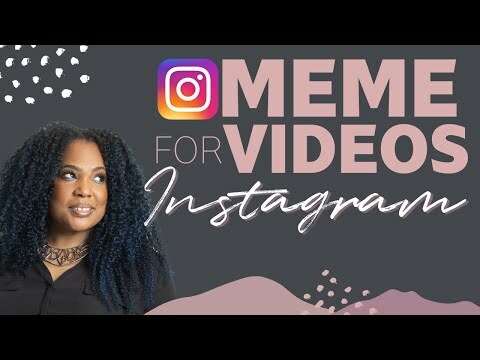 How to Create a Meme Video for Instagram on Your iPhone How to create a Video Meme from your Desktop: https://youtu.be/fPsCa19ItVk How to use Camtasia for Video Editing: https://youtu.be/fi8BnqnjGnA ~~~~~~~~~~~~~~~~ SUBSCRIBE to my Channel https://goo.gl/BcaU6s Join the Pink Boss Club on Facebook: https://pinkboss.club Join the Pink Boss Academy Social Media Training Hub: https://pinkboss.academy Check out these awesome tutorials for Social Media, Digital Marketing for Solopreneurs, Entrepreneurs and Small Businesses My fav social media management tool: http://sociallynina.com/promo [Videos] Instagram for Business: https://sociallynina.com/instagramforbizplaylist [Videos] Facebook for Business: https://sociallynina.com/facebookforbizplaylist [Videos] Video Editing for Business: http://sociallynina.com/videoforbizplaylist [Videos] YouTube for Business: https://sociallynina.com/youtubeforbizplaylist [Videos] Graphic Design for Business: http://sociallynina.com/graphicdesignforbizplaylist [Videos] Twitter for Business: http://sociallynina.com/twitterforbusinessplaylist [Videos] List Building for Business: http://sociallynina.com/listbuildingforbizplaylist [Videos] Task Management for Business: http://sociallynina.com/taskmanagementforbizplaylist [Videos] Content Marketing for Business: https://sociallynina.com/contentmarketingforbizplaylist ~~~~~~~~~~~~~~~~ About Socially Nina (http://www.sociallynina.com) I’m Nina Thomas, founder of Nina Simone Consulting (http://ninasimoneconsulting.com), Pink Boss Club (http://pinkboss.club) and Pink Boss Academy (http://pinkboss.academy). 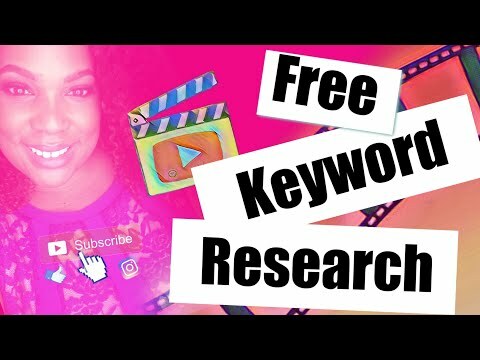 As a Social Media Influencer and Video Visibility Strategist – leverage innovative digital Marketing techniques to give solopreneurs the much needed visibility online! I take entrepreneurs step by step through the process to engage, grow and profit with social media tools. As a Social Media Strategist for small business owners I provide you with the guidance and tools you need to succeed. I offer resources for entrepreneurs who want more out of networking than just meeting new contacts and getting Facebook likes. You need a social media geek on your team. I’m that geek. I provide innovative social media strategies and services designed to give your business a strong online presence; increasing your exposure and bottom line profits. I am devoted to high standards of social media for branding and advertising purposes; and look forward to helping you create your own Power brand! With over 15 years of experience in the IT field, I’ve become obsessed with social media and technology. 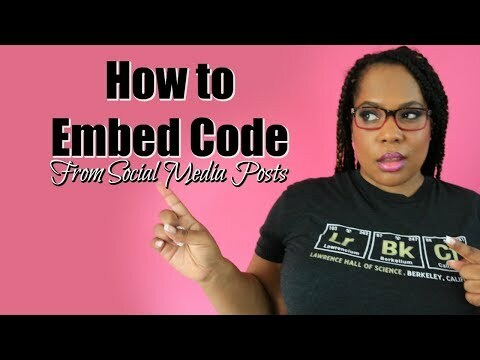 Socially Nina Social Media Strategist & Checklist Champion Facebook, Instagram, Twitter, Google+, Vimeo, Youtube, Yammer, …. I get that stuff. I talk that talk. I live in that virtual world. ~~~~~~~~~~~~~~~~~~~~~~~~~~~~~~~~~~~ My Favorite Social Media Tools (Some affiliate links) PicMonkey Graphic Design Tool: http://goo.gl/xQh1YQ Wordpress Web Hosting: http://goo.gl/DthbyC Post Planner Social Media Management Tool: https://goo.gl/zZioDz Social Media Icons: https://goo.gl/wuxdds Post to Instagram from your desktop: http://bit.ly/PostFromDesktop ~~~~~~~~~~~~~~~~~~~~~~~~~~~~~~~~~~~ Sony a5100 16-50mm Mirrorless Digital Camera with 3-Inch Flip Up LCD (Black): http://amzn.to/1UCaDF0 Slik Mini II Table-Top Tripod with Max. Load of 2.75lbs : http://amzn.to/1UCaIZb Case Logic DCB-304 Compact System/Hybrid Camera Case (Black) http://screencast-o-matic.com/home MegaGear "Ever Ready" Protective Rose Leather Camera Cas: http://amzn.to/1TVt9LD Screencast-O-Matic: http://screencast-o-matic.com/home About Socially Nina (www.sociallynina.com) I’m Nina and I’m a Social Media Strategist and Digital Marketing Specialist! I take entrepreneurs step by step through the process to engage, grow and profit with social media tools. As a Social Media Strategist for small business owners I provide you with the guidance and tools you need to succeed. I offer resources for entrepreneurs who want more out of networking than just meeting new contacts and getting Facebook likes. You need a social media geek on your team. I’m that geek. I provide innovative social media strategies and services designed to give your business a strong online presence; increasing your exposure and bottom line profits. I am devoted to high standards of social media for branding and advertising purposes; and look forward to helping you create your own Power brand! With over 15 years of experience in the IT field, I’ve become obsessed with social media and technology. 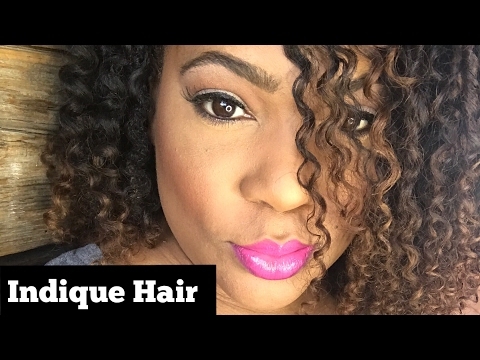 Socially Nina Social Media Strategist & Checklist Champion Facebook, Instagram, Twitter, Google+, Vimeo, Youtube, Yammer, …. I get that stuff. I talk that talk. I live in that virtual world. 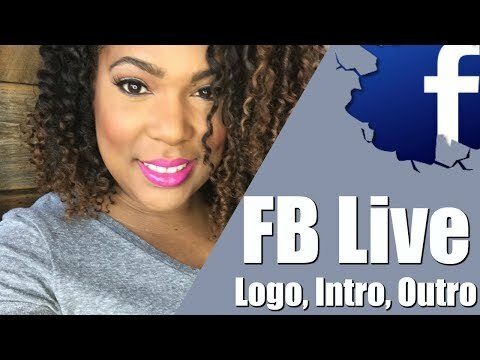 I’m Nina Simone, a Social Media Marketing Strategist and Business Success Coach with a BS in Computer Information Systems (I’m girly with a dash of super nerd). 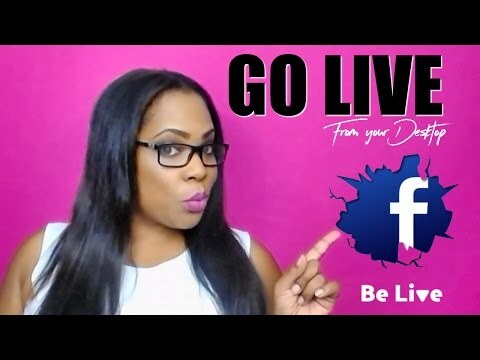 I help entrepreneurs with everything from biz systems to Facebook Ads with a dash of webinar prep on the side! 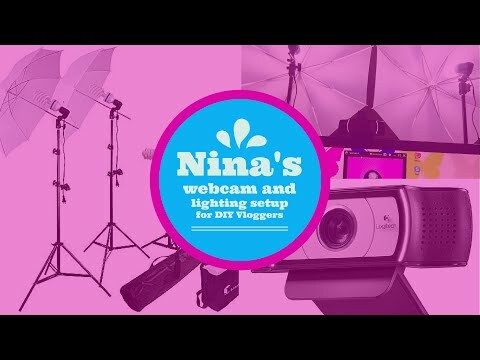 FREE Video Tutorial - GO LIVE! 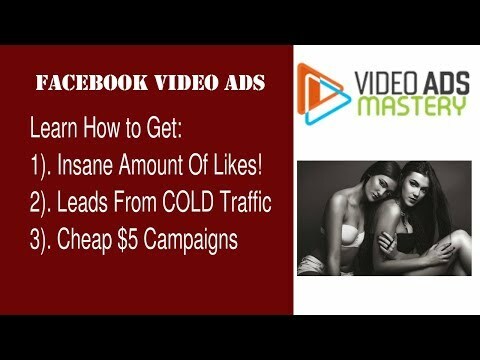 GET LEADS! with Periscope http://www.sociallynina.com/go-live-with-periscope/ Join the Pink Boss Club FREE on Facebook http://sociallynina.com/join Ever since I started my first online business I’ve gotten a lot of attention - people ask me for all types of advice like... What it takes to build a following and how tap into the entrepreneur's mindset The essentials of business building, and All the technical details that go with starting and marketing a business. Baby baby lemme upgrade you” (lol)! I take entrepreneurs step by step through the process to engage, grow and profit with social media tools. As a Social Media Strategist for small business owners I provide you with the guidance and tools you need to succeed. 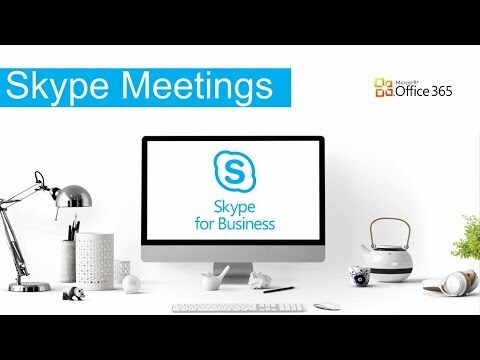 I offer resources for entrepreneurs who want more out of networking than just meeting new contacts and getting Facebook likes. I am devoted to high standards of social media for branding and advertising; and look forward to helping you create your own Power brand! 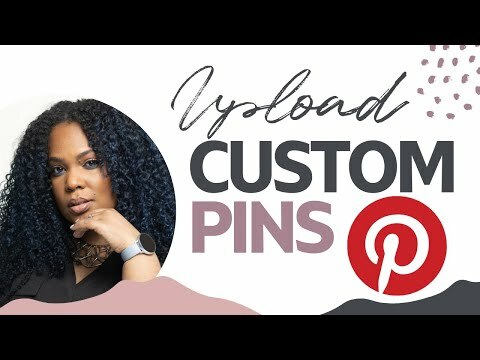 Pinterest Board Covers | How to upload custom Pinterest Graphics ~~~~~~~~~~~~~~~~ Create custom pins from graphics SUBSCRIBE to my Channel https://goo.gl/BcaU6s ~~~~~~~~~~~~~~~~ Use Tailwind to post pins http://sociallynina.com/tailwind Pretty Links: https://youtu.be/MSF7D7VwPng Pinterest Group Board for Entrepreneurs http://sociallynina.com/groupboard SOCIAL MEDIA INFO ---------------------------- Instagram: http://instagram.com/sociallynina Facebook: http://facebook.com/sociallynina.com Twitter: http://twitter.com/iamsociallynina Pinterest: http://pinterest.com/sociallynina Youtube: http://youtube.com/sociallynina #PinterestBoards #PinterestBoardCovers #PinterestForBusiness #PinterestMarketing #sociallynina #pinkbossclub #learneditonline HOW TO WORK WITH ME ---------------------------- “Socially Nina” Thomas is an entrepreneurial marketing influencer and the CEO and founder of LearnedIt.online, an online training hub for small businesses, and the “not-so-tech-savvy” entrepreneur. http://sociallynina.com ------------ Pink Boss Club | The Small Business Hub | Free Community for Entrepreneurs http://sociallynina.com/pbc ------------ Pink Boss Academy| Digital Marketing Strategies for Entrepreneurs http://pinkboss.academy ------------ Business Mentorship for Startups and Entrepreneurs Businesses |Schedule a 20 minute discovery call to see if we’re a good fit http://sociallynina.com/bookme ------------ Consulting and Partnerships for Small – Mid-size Businesses http://sociallynina.com/consulting ------------ VIDEO SERIES ---------------------------- DISCLAIMER: This video and description may contain affiliate links. If you click on one of the product links, I may receive a small commission. These programs help support this channel and allow me to continue to make videos like this for you. Thank you for the support! This free design tool helps you create social media graphics quickly. You can sign up for free at http://sociallynina.com/stencil Stencil has over 1 million backgrounds, over 200,000 icon and graphics and allows you to upload your own fonts and logos. But the best part is the ability to right click on any photo or text on the internet to instantly bring it into the app. Woot woot! I'm super juiced about this new app! Note: Stencil reached out to me for a review; however, all thoughts and opinions are my own. I would not promote any apps that I didn't like. 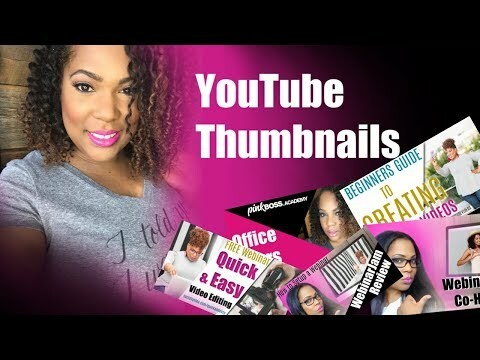 SUBSCRIBE to my Channel https://goo.gl/BcaU6s Join the Pink Boss Club on Facebook: https://pboss.club Check out these awesome tutorials for Social Media, Digital Marketing for Solopreneurs, Entrepreneurs and Small Businesses [Videos] Instagram for Business: https://sociallynina.com/instagramforbizplaylist [Videos] Facebook for Business: https://sociallynina.com/facebookforbizplaylist [Videos] Video Editing for Business: http://sociallynina.com/videoforbizplaylist [Videos] YouTube for Business: https://sociallynina.com/youtubeforbizplaylist [Videos] Graphic Design for Business: http://sociallynina.com/graphicdesignforbizplaylist Coming Soon… [Videos] Twitter for Business: http://sociallynina.com/twitterforbusinessplaylist [Videos] List Building for Business: http://sociallynina.com/listbuildingforbizplaylist [Videos] Task Management for Business: http://sociallynina.com/taskmanagementforbizplaylist [Videos] Content Marketing for Business: https://sociallynina.com/contentmarketingforbizplaylist ~~~~~~~~~~~~~~~~~~~~~~~~~~~~~~~ About Socially Nina (http://www.sociallynina.com) I’m Nina Thomas, founder of Nina Simone Consulting (http://ninasimoneconsulting.com), Pink Boss Club (http://pinkboss.club) and Pink Boss Academy (http://pinkboss.academy). 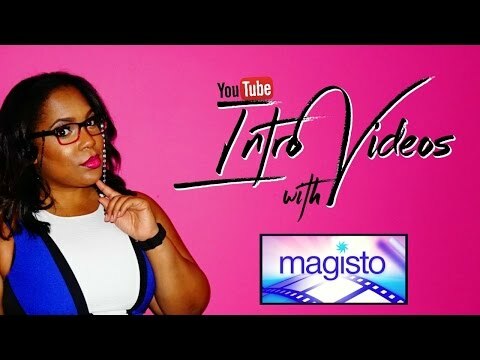 As a Social Media Influencer and Video Visibility Strategist – leverage innovative digital Marketing techniques to give solopreneurs the much needed visibility online! I take entrepreneurs step by step through the process to engage, grow and profit with social media tools. As a Social Media Strategist for small business owners I provide you with the guidance and tools you need to succeed. I offer resources for entrepreneurs who want more out of networking than just meeting new contacts and getting Facebook likes. You need a social media geek on your team. I’m that geek. I provide innovative social media strategies and services designed to give your business a strong online presence; increasing your exposure and bottom line profits. I am devoted to high standards of social media for branding and advertising purposes; and look forward to helping you create your own Power brand! With over 15 years of experience in the IT field, I’ve become obsessed with social media and technology. 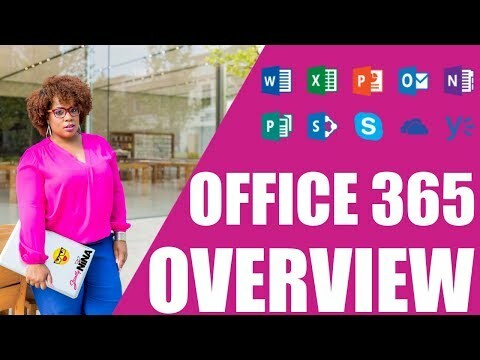 Socially Nina Social Media Strategist & Checklist Champion Facebook, Instagram, Twitter, Google+, Vimeo, Youtube, Yammer, …. I get that stuff. I talk that talk. I live in that virtual world. ~~~~~~~~~~~~~~~~~~~~~~~~~~~~~~~~~~~ My Favorite Social Media Tools (Some affiliate links) PicMonkey Graphic Design Tool: http://goo.gl/xQh1YQ Wordpress Web Hosting: http://goo.gl/DthbyC Post Planner Social Media Management Tool: https://goo.gl/zZioDz Social Media Icons: https://goo.gl/wuxdds Post to Instagram from your desktop: http://bit.ly/PostFromDesktop ~~~~~~~~~~~~~~~~~~~~~~~~~~~~~~~~~~~ Sony a5100 16-50mm Mirrorless Digital Camera with 3-Inch Flip Up LCD (Black): http://amzn.to/1UCaDF0 Slik Mini II Table-Top Tripod with Max. Load of 2.75lbs : http://amzn.to/1UCaIZb Case Logic DCB-304 Compact System/Hybrid Camera Case (Black) http://screencast-o-matic.com/home MegaGear "Ever Ready" Protective Rose Leather Camera Cas: http://amzn.to/1TVt9LD Screencast-O-Matic: http://screencast-o-matic.com/home About Socially Nina (www.sociallynina.com) I’m Nina and I’m a Social Media Strategist and Digital Marketing Specialist! I take entrepreneurs step by step through the process to engage, grow and profit with social media tools. As a Social Media Strategist for small business owners I provide you with the guidance and tools you need to succeed. I offer resources for entrepreneurs who want more out of networking than just meeting new contacts and getting Facebook likes. You need a social media geek on your team. I’m that geek. I provide innovative social media strategies and services designed to give your business a strong online presence; increasing your exposure and bottom line profits. I am devoted to high standards of social media for branding and advertising purposes; and look forward to helping you create your own Power brand! With over 15 years of experience in the IT field, I’ve become obsessed with social media and technology. 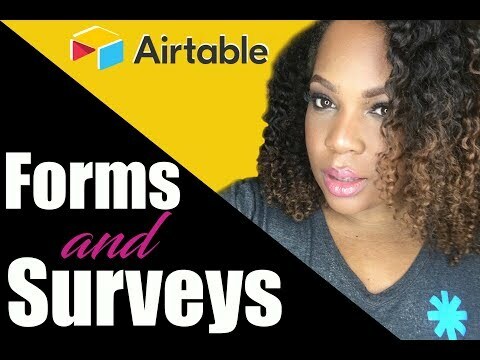 Socially Nina Social Media Strategist & Checklist Champion Facebook, Instagram, Twitter, Google+, Vimeo, Youtube, Yammer, …. I get that stuff. I talk that talk. I live in that virtual world. 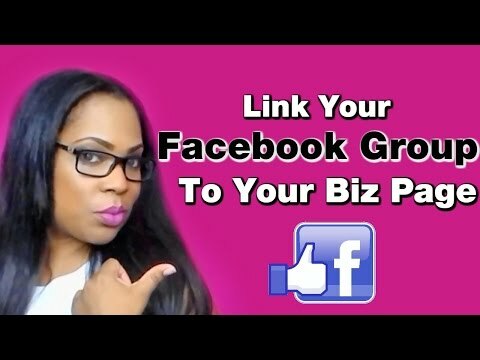 Facebook Group - How to link your Facebook Group to your Fan Page Why make people use the Facebook group search to find your online community when you can attach it to your Facebook Fan Page (aka your business page). 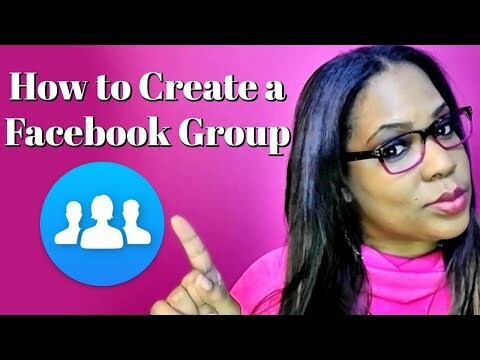 In this tutorial I'll show you how to attach an existing Facebook group to your Facebook business page. It's super duper easy. SUBSCRIBE to my Channel https://goo.gl/BcaU6s Join the Pink Boss Club on Facebook: https://pboss.club/joinpbc Reflector 2 Download: http://www.airsquirrels.com/reflector/download/ Check out my videos on Facebook for Business: https://www.youtube.com/playlist?list=PL-PcMZK7ukr9An1uBsPpotM0JQY7niezU ~~~~~~~~~~~~~~~~~~~~~~~~~~~~~~~~~~~ About Socially Nina (http://www.sociallynina.com) I’m Nina Thomas, founder of Nina Simone Consulting (http://ninasimoneconsulting.com), Pink Boss Club (http://pinkboss.club) and Pink Boss Academy (http://pinkboss.academy). 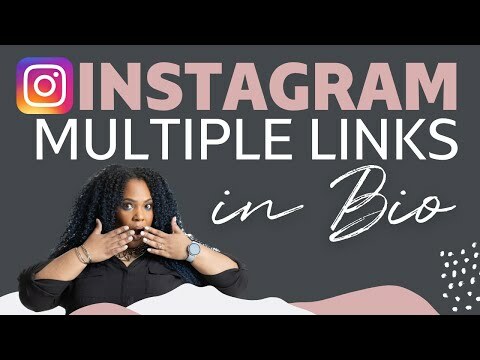 As a Social Media Influencer and Video Visibility Strategist – leverage innovative digital Marketing techniques to give solopreneurs the much-needed visibility online! I take entrepreneurs step by step through the process to engage, grow and profit with social media tools. As a Social Media Strategist for small business owners I provide you with the guidance and tools you need to succeed. I offer resources for entrepreneurs who want more out of networking than just meeting new contacts and getting Facebook likes. You need a social media geek on your team. I’m that geek. I provide innovative social media strategies and services designed to give your business a strong online presence; increasing your exposure and bottom line profits. I am devoted to high standards of social media for branding and advertising purposes; and look forward to helping you create your own Power brand! With over 15 years of experience in the IT field, I’ve become obsessed with social media and technology. 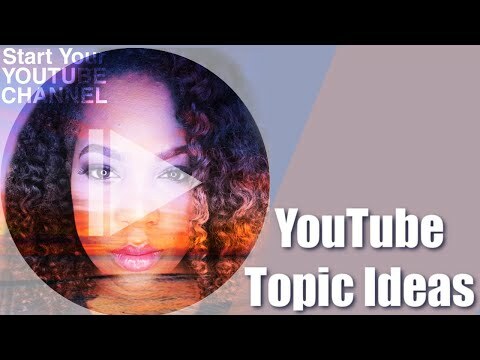 Socially Nina Social Media Strategist & Checklist Champion Facebook, Instagram, Twitter, Google+, Vimeo, Youtube, Yammer, …. I get that stuff. I talk that talk. I live in that virtual world. ~~~~~~~~~~~~~~~~~~~~~~~~~~~~~~~~~~~ My Favorite Social Media Tools (Some affiliate links) PicMonkey Graphic Design Tool: http://goo.gl/xQh1YQ Wordpress Web Hosting: http://goo.gl/DthbyC Post Planner Social Media Management Tool: https://goo.gl/zZioDz Social Media Icons: https://goo.gl/wuxdds Post to Instagram from your desktop: http://bit.ly/PostFromDesktop ~~~~~~~~~~~~~~~~~~~~~~~~~~~~~~~~~~~ Sony a5100 16-50mm Mirrorless Digital Camera with 3-Inch Flip Up LCD (Black): http://amzn.to/1UCaDF0 Slik Mini II Table-Top Tripod with Max. Load of 2.75lbs : http://amzn.to/1UCaIZb Case Logic DCB-304 Compact System/Hybrid Camera Case (Black) http://screencast-o-matic.com/home MegaGear "Ever Ready" Protective Rose Leather Camera Cas: http://amzn.to/1TVt9LD Screencast-O-Matic: http://screencast-o-matic.com/home About Socially Nina (www.sociallynina.com) I’m Nina and I’m a Social Media Strategist and Digital Marketing Specialist! I take entrepreneurs step by step through the process to engage, grow and profit with social media tools. As a Social Media Strategist for small business owners I provide you with the guidance and tools you need to succeed. I offer resources for entrepreneurs who want more out of networking than just meeting new contacts and getting Facebook likes. You need a social media geek on your team. I’m that geek. I provide innovative social media strategies and services designed to give your business a strong online presence; increasing your exposure and bottom line profits. I am devoted to high standards of social media for branding and advertising purposes; and look forward to helping you create your own Power brand! With over 15 years of experience in the IT field, I’ve become obsessed with social media and technology. 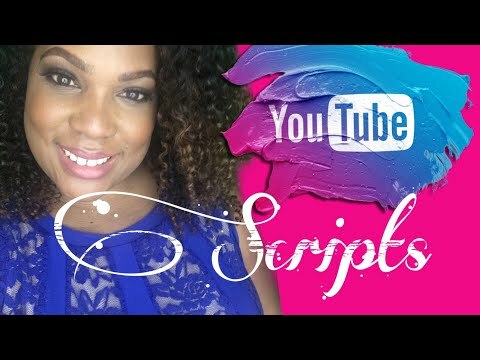 Socially Nina Social Media Strategist & Checklist Champion Facebook, Instagram, Twitter, Google+, Vimeo, Youtube, Yammer, …. I get that stuff. I talk that talk. I live in that virtual world. 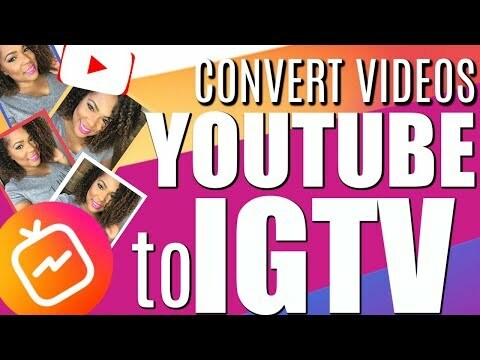 How to convert YouTube VIdeos to IGTV Vertical Video with Camtasia | YouTube to Instagram Let’s walk through how to take an existing landscape video (1280 x 720) and convert it to a (720 x 1280) video using Camtasia. For some reason this works better for me when I go in and export the original video as 720 p. However, I’m pretty sure you wont need to do this step. Next you’ll change the Project Settings to a custom canvas size of 720 x 1280. Drag over your original landscape video into the vertical canvas and add video elements above and below. Camtasia: http://sociallynina.com/camtasia Follow me on Instagram: http://instagram.com/sociallynina Learn how to setup your IGTV: https://www.youtube.com/watch?v=UrxE9ZdTjdw&list=PL-PcMZK7ukr8j1mYZphZ61SixrGXYFyCR ~~~~~~~~~~~~~~~~ SUBSCRIBE to my Channel https://goo.gl/BcaU6s ~~~~~~~~~~~~~~~~ QUESTION OF THE DAY What is your favorite video editing software and why? ---------------------------- SOCIAL MEDIA INFO ---------------------------- Instagram: http://instagram.com/sociallynina Facebook: http://facebook.com/sociallynina.com Twitter: http://twitter.com/iamsociallynina Pinterest: http://pinterest.com/sociallynina Youtube: http://youtube.com/sociallynina #sociallynina #pinkbossclub #learneditonline HOW TO WORK WITH ME ---------------------------- “Socially Nina” Thomas is an entrepreneurial marketing influencer and the CEO and founder of LearnedIt.online, an online training hub for small businesses, and the “not-so-tech-savvy” entrepreneur. http://sociallynina.com ------------ Pink Boss Club | The Small Business Hub | Free Community for Entrepreneurs http://sociallynina.com/pbc ------------ Pink Boss Academy| Digital Marketing Strategies for Entrepreneurs http://pinkboss.academy ------------ Business Mentorship for Startups and Entrepreneurs Businesses |Schedule a 20 minute discovery call to see if we’re a good fit http://sociallynina.com/bookme ------------ Consulting and Partnerships for Small – Mid-size Businesses http://sociallynina.com/consulting ------------ VIDEO SERIES ---------------------------- My posting schedule: Monday – Wednesday – Friday. Click the links below to see if you missed any of my previous Digital Marketing tutorials. 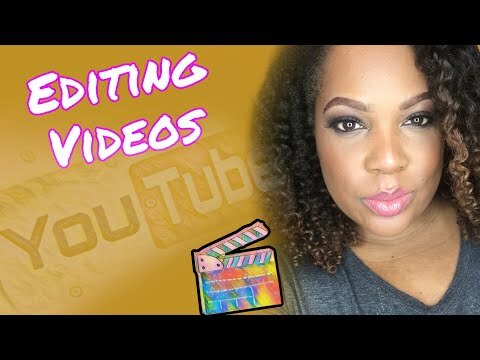 ------------ Series 3 | YouTube Tips and Tricks for Digital Marketers | 1 of 3 https://www.youtube.com/playlist?list=PL-PcMZK7ukr-ztJvmQoZ0TqwT1iKt46AI ------------ Series 2 | Series 2 | Instagram Tips and Tricks for Digital Marketers https://www.youtube.com/playlist?list=PL-PcMZK7ukr-aTOTHB58swt_gpJRrpz8C ------------ ------------ Series 1 | WebinarJam, ActiveCampaign, YouTube Thumbnails https://www.youtube.com/playlist?list=PL-PcMZK7ukr9IiOsaA_Pmdgftlb4bKbzn ------------ DISCLAIMER: This video and description may contain affiliate links. If you click on one of the product links, I may receive a small commission. These programs help support this channel and allow me to continue to make videos like this for you. Thank you for the support! 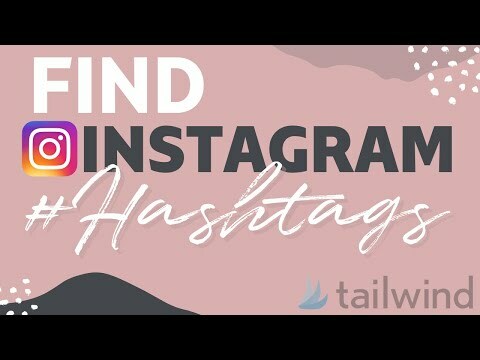 How to find hashtags on Instagram | Tailwind Hashtag Finder 2.0 Try Tailwind for FREE: http://sociallynina.com/tailwind Full Tailwind for Instagram Tutorial: https://youtu.be/E57NaoVnO4I ~~~~~~~~~~~~~~~~ SUBSCRIBE to my Channel https://goo.gl/BcaU6s Join the Pink Boss Club on Facebook: https://pinkboss.club Additional tutorials on Learned It Online http://learnedit.online DISCLAIMER: This video and description may contain affiliate links. If you click on one of the product links, I may receive a small commission. These programs help support this channel and allow me to continue to make videos like this for you. Thank you for the support! PS - All opinions are mine... yup all mine. I commit to providing you with honest feedback on software, applications, features, products and services. 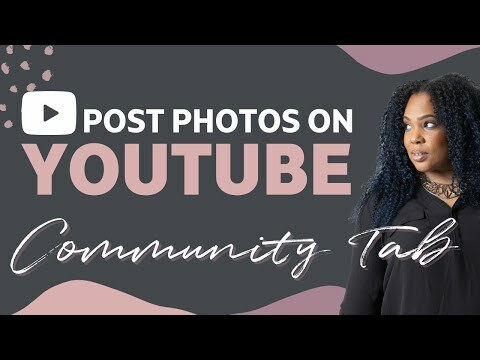 Discussion Tab 2018 - How to use the new YouTube Community tab to post photos, share videos and poll your audience. ~~~~~~~~~~~~~~~~ SUBSCRIBE to my Channel https://goo.gl/BcaU6s ~~~~~~~~~~~~~~~~ QUESTION OF THE DAY ---------------------------- SOCIAL MEDIA INFO ---------------------------- Instagram: http://instagram.com/sociallynina Facebook: http://facebook.com/sociallynina.com Twitter: http://twitter.com/iamsociallynina Pinterest: http://pinterest.com/sociallynina Youtube: http://youtube.com/sociallynina #sociallynina #pinkbossclub #learneditonline HOW TO WORK WITH ME ---------------------------- “Socially Nina” Thomas is an entrepreneurial marketing influencer and the CEO and founder of LearnedIt.online, an online training hub for small businesses, and the “not-so-tech-savvy” entrepreneur. http://sociallynina.com ------------ Pink Boss Club | The Small Business Hub | Free Community for Entrepreneurs http://sociallynina.com/pbc ------------ Pink Boss Academy| Digital Marketing Strategies for Entrepreneurs http://pinkboss.academy ------------ Business Mentorship for Startups and Entrepreneurs Businesses |Schedule a 20 minute discovery call to see if we’re a good fit http://sociallynina.com/bookme ------------ Consulting and Partnerships for Small – Mid-size Businesses http://sociallynina.com/consulting ------------ VIDEO SERIES ---------------------------- My posting schedule: Monday – Wednesday – Friday. Click the links below to see if you missed any of my previous Digital Marketing tutorials. 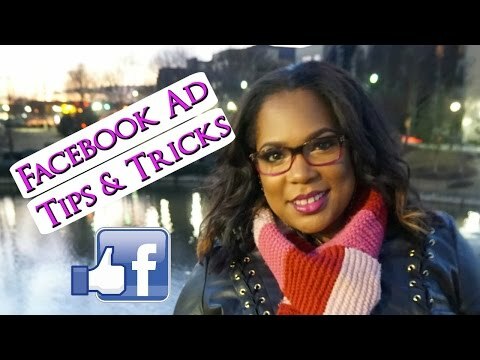 ------------ Series 3 | YouTube Tips and Tricks for Digital Marketers | 1 of 3 https://www.youtube.com/playlist?list=PL-PcMZK7ukr-ztJvmQoZ0TqwT1iKt46AI ------------ Series 2 | Series 2 | Instagram Tips and Tricks for Digital Marketers https://www.youtube.com/playlist?list=PL-PcMZK7ukr-aTOTHB58swt_gpJRrpz8C ------------ ------------ Series 1 | WebinarJam, ActiveCampaign, YouTube Thumbnails https://www.youtube.com/playlist?list=PL-PcMZK7ukr9IiOsaA_Pmdgftlb4bKbzn ------------ DISCLAIMER: This video and description may contain affiliate links. If you click on one of the product links, I may receive a small commission. These programs help support this channel and allow me to continue to make videos like this for you. Thank you for the support! 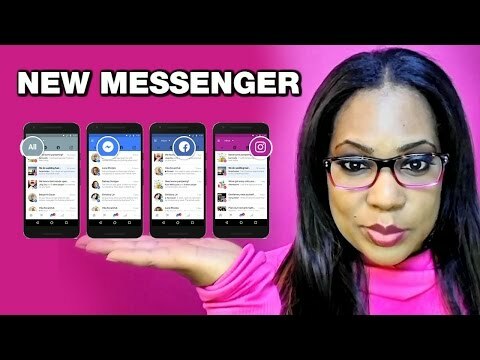 Messenger App - 2017 Facebook Update for Instagram, Facebook and Facebook Messenger | Unified Inbox Access it by downloading the Pages App Facebook wants to make your life easier with their new ALL IN ONE inbox. Think of it kind of like a Gmail Inbox or Outlook Inbox for social media. You can check mew messages from your Facebook Page comments, Facebook Messenger App Inbox, Facebook Business Page, Your Instagram Comments... well thank you Facebook! LOL there's only one problem... it keeps disappearing! I received a notification for the new inbox about a week ago, then it disappeared before I could try it. Today it appeared again and I wanted to jump on this video. As soon as I finished recording... back to the old inbox. So don't trip if you don't have it yet. Apparently, it's been out since November 2016 and we're just now getting it. Be patient bosses! 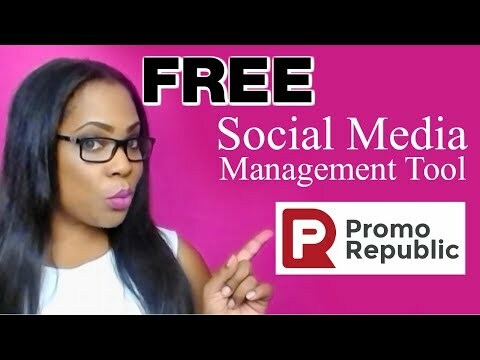 SUBSCRIBE to my Channel https://goo.gl/BcaU6s Join the Pink Boss Club on Facebook: https://pboss.club/joinpbc Reflector 2 Download: http://www.airsquirrels.com/reflector/download/ Check out these awesome tutorials for Social Media, Digital Marketing for Solopreneurs, Entrepreneurs and Small Businesses [Videos] Instagram for Business: https://pboss.club/instagramforbizplaylist [Videos] Facebook for Business: https://pboss.club/facebookforbizplaylist [Videos] Video Editing for Business: http://bit.ly/videoforbizplaylist [Videos] YouTube for Business: https://pboss.club/youtubeforbizplaylist [Videos] Graphic Design for Business: http://bit.ly/graphicdesignforbizplaylist Coming Soon… [Videos] Twitter for Business: http://bit.ly/twitterforbusinessplaylist [Videos] List Building for Business: http://bit.ly/lilstbuildingforbizplaylist [Videos] Task Management for Business: http://bit.ly/taskmanagementforbizplaylist [Videos] Content Marketing for Business: https://pboss.club/contentmarketingforbiz ~~~~~~~~~~~~~~~~~~~~~~~~~~~~~~~~~~~ About Socially Nina (www.sociallynina.com) I’m Nina and I’m a Social Media Strategist and Digital Marketing Specialist! I take entrepreneurs step by step through the process to engage, grow and profit with social media tools. As a Social Media Strategist for small business owners I provide you with the guidance and tools you need to succeed. I offer resources for entrepreneurs who want more out of networking than just meeting new contacts and getting Facebook likes. You need a social media geek on your team. I’m that geek. I provide innovative social media strategies and services designed to give your business a strong online presence; increasing your exposure and bottom line profits. I am devoted to high standards of social media for branding and advertising purposes; and look forward to helping you create your own Power brand! With over 15 years of experience in the IT field, I’ve become obsessed with social media and technology. 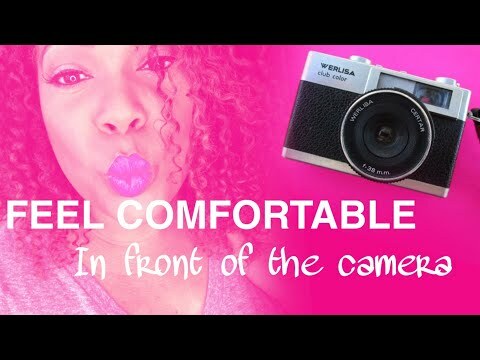 Socially Nina Social Media Strategist & Checklist Champion Facebook, Instagram, Twitter, Google+, Vimeo, Youtube, Yammer, …. I get that stuff. I talk that talk. I live in that virtual world. Facebook Subcategories - Once you select a subcategory under "Public Figure" Facebook wont allow you to change it. 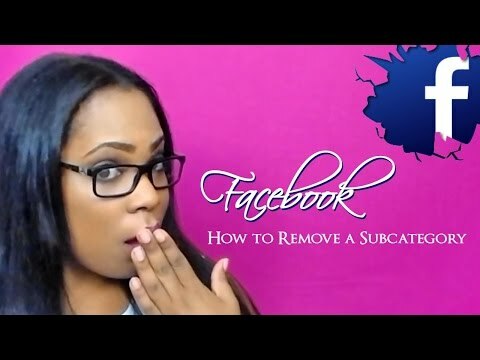 I'll show you how to change your FAcebook Fan Page title as a Public Figure. Here's the steps written out 1. On your Facebook page, select About - Page Info 2. Change the first category to Companies & Organizations 3. Change the second category (right under it) to Consulting Business Services 4. Go down to Address and clear all of the details in your address field. 5. Close and reopen Facebook 6. Go back to About - Page Info 7. Select the categories you want (e.g., People & Public Figure) 8. Go to the top of your Facebook page (to the right of your picture where it shows your categories) 9. Click Add a Subcategory 10. Delete the subcategory. That's it! 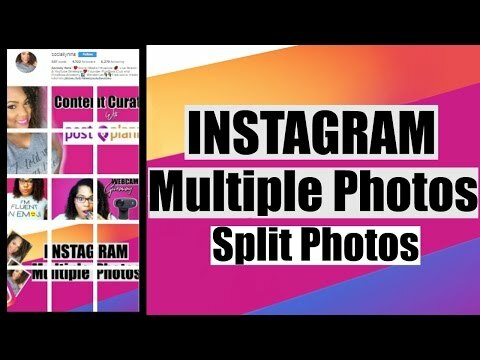 Please SUBSCRIBE https://goo.gl/BcaU6s to get more awesome tutorials 🎥 🎥 🎥 🎥 🎥 🎥 🎥 🎥 🎥 🎥 🎥 🎥 🎥 🎥 🎥 🎥 🎥 🎥 🎥 🎥 🎥 🎥 🎥 🎥 🎥 🎥 🎥 Let’s Connect on Social Media Pink Boss Club Facebook Group: https://goo.gl/KRYdQp Twitter: http://goo.gl/zrltuO Facebook: http://goo.gl/jiv5sl Instagram http://instagram.com/sociallynina Pinterest: http://goo.gl/4C8wAe Snapchat: SociallyNina Periscope: http://periscope.tv/sociallynina Blab: http://blab.im/iamsociallynina Email Me: mailto:nina@sociallynina.com?subject=Found you on YouTube 🎥 🎥 🎥 🎥 🎥 🎥 🎥 🎥 🎥 🎥 🎥 🎥 🎥 🎥 🎥 🎥 🎥 🎥 🎥 🎥 🎥 🎥 🎥 🎥 🎥 🎥 🎥 My Favorite Social Media Tools (Some affiliate links) PicMonkey Graphic Design Tool: http://goo.gl/xQh1YQ Wordpress Web Hosting: http://goo.gl/DthbyC Post Planner Social Media Management Tool: https://goo.gl/zZioDz 🎥 🎥 🎥 🎥 🎥 🎥 🎥 🎥 🎥 🎥 🎥 🎥 🎥 🎥 🎥 🎥 🎥 🎥 🎥 🎥 🎥 🎥 🎥 🎥 🎥 🎥 🎥 About Socially Nina (www.sociallynina.com) I’m Nina and I’m a Social Media Strategist Business Coach and Facebook Ads Master! I take entrepreneurs step by step through the process to engage, grow and profit with social media tools. As a Social Media Strategist for small business owners I provide you with the guidance and tools you need to succeed. I offer resources for entrepreneurs who want more out of networking than just meeting new contacts and getting Facebook likes. You need a social media geek on your team. I’m that geek. I provide innovative social media strategies and services designed to give your business a strong online presence; increasing your exposure and bottom line profits. I am devoted to high standards of social media for branding and advertising purposes; and look forward to helping you create your own Power brand! With over 15 years of experience in the IT field, I’ve become obsessed with social media and technology. 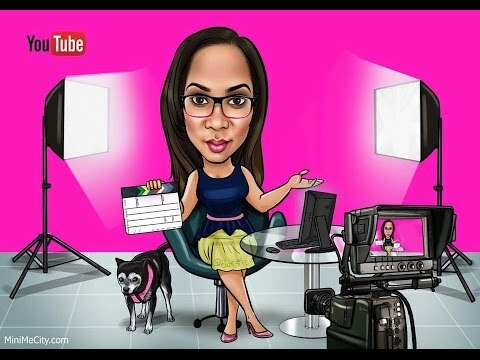 Socially Nina Social Media Strategist & Checklist Champion Facebook, Instagram, Twitter, Google+, Vimeo, Youtube, Yammer, …. I get that stuff. I talk that talk. I live in that virtual world. 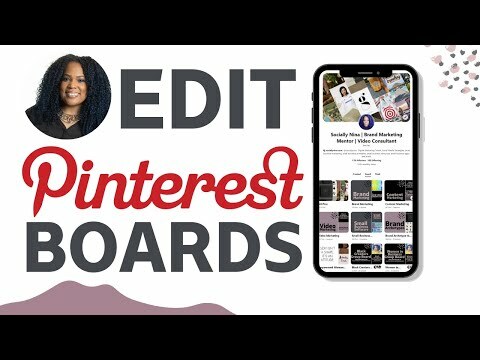 How to edit Pinterest Boards to get more views | Pinterest followers hack Get more tips and tricks for using Pinterest for Business https://goo.gl/jBuaNM ~~~~~~~~~~~~~~~~ SUBSCRIBE to my Channel https://goo.gl/BcaU6s ~~~~~~~~~~~~~~~~ QUESTION OF THE DAY ---------------------------- SOCIAL MEDIA INFO ---------------------------- Instagram: http://instagram.com/sociallynina Facebook: http://facebook.com/sociallynina.com Twitter: http://twitter.com/iamsociallynina Pinterest: http://pinterest.com/sociallynina Youtube: http://youtube.com/sociallynina #sociallynina #pinkbossclub #learneditonline HOW TO WORK WITH ME ---------------------------- “Socially Nina” Thomas is an entrepreneurial marketing influencer and the CEO and founder of LearnedIt.online, an online training hub for small businesses, and the “not-so-tech-savvy” entrepreneur. 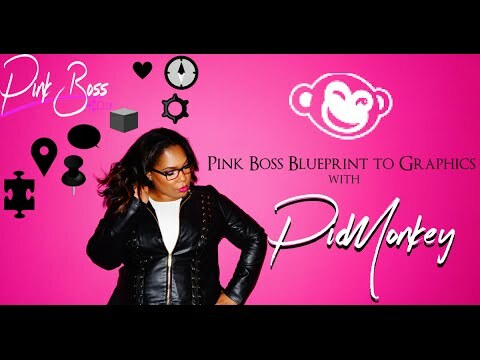 http://sociallynina.com ------------ Pink Boss Club | The Small Business Hub | Free Community for Entrepreneurs http://sociallynina.com/pbc ------------ Pink Boss Academy| Digital Marketing Strategies for Entrepreneurs http://pinkboss.academy ------------ Business Mentorship for Startups and Entrepreneurs Businesses |Schedule a 20 minute discovery call to see if we’re a good fit http://sociallynina.com/bookme ------------ Consulting and Partnerships for Small – Mid-size Businesses http://sociallynina.com/consulting ------------ DISCLAIMER: This video and description may contain affiliate links. If you click on one of the product links, I may receive a small commission. These programs help support this channel and allow me to continue to make videos like this for you. Thank you for the support!